Who is Ed Miliband talking to? Who does he want to impress? 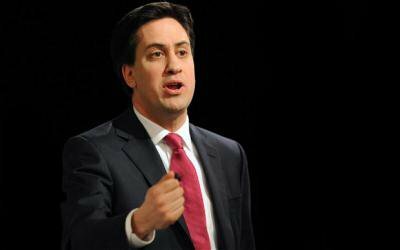 Delivering a 6,000 word Hugo Young lecture this week, Miliband calls for “a new culture in our public services”. But in setting out what he grandly describes as his “mission” he manages to answer questions almost nobody is asking. And he evades the real issues that concern and frustrate Labour’s core supporters. Take the NHS. We know that up and down the country Labour MPs, candidates, councillors, and Mayors like Lewisham’s Sir Steve Bullock are battling alongside local communities against plans to cut, close and “reconfigure” local hospital services. They are frustrated at the fact that the current system gives little chance to highlight the flawed assumptions, dodgy figures and sheer fiction of “plans” to replace trusted hospital services with so-called “community services”. But Miliband has nothing to offer them. He refuses to commit to halt hospital closures. Instead he promises patients would be “involved right from the outset”, told “why change might be needed” and “what the options are”. In other words more one-sided lectures. None of this is very different from the threadbare pretence of “consultation” that takes place at the moment, and leaves local people so angry. Miliband suggests “patient representatives” would be help “draw up the plan” that would then be put out to consultation - probably by the new, ineffective Health & Wellbeing Boards. The “patient representatives” would most likely be drawn from the even more ineffective new HealthWatch organisations. These creations of the 2012 Act are "emasculated" versions of the old Community Health Councils that were too effective in speaking up for local patients - scrapped by Alan Milburn in 2003. Milburn had the cheek to claim as he abolished them, "We believe that patient power is the most important way of raising standards of care, cleanliness and convenience across the NHS." Miliband is clear he would not give patients a power of veto over closures. It’s not clear what this latest proposal would achieve, but it’s unlikely to reassure voters worried about their local hospital. Behind the plans for cutbacks and centralisation of hospital care is the unprecedented and tightening financial squeeze on the NHS. We’ve had the meanest-ever five years of microscopic “growth” in spending - falling way behind inflation and increased demand. If George Osborne’s plans remain intact there’s worse to come, year after year, until 2021. Over a million NHS staff have already borne the brunt of the so-called “efficiency savings” through four years of real-terms wage cuts that have sliced 16% of the value of pay packets. Workloads are cranked up, many qualified staff face further pay cuts through downgraded – and desperate managers bully staff. Does Ed Miliband address any of these issues? No. In fact he tells us that nothing will change: “The next Labour government will face massive fiscal challenges, including having to cut spending”. The one positive in Miliband’s lengthy spiel is his commitment to oppose and if necessary repeal the controversial Clause 118 that ministers have added to the Care Bill. This is an effort to extend the draconian powers of Trust Special Administrators to reorganise whole local health services on the pretext that one local trust is failing. The Tories are eager to change the law which effectively rescued Lewisham Hospital from losing two thirds of its services. Miliband denounces the “morass of competition law” and the divisive impact of the Health & Social Care Act which has fragmented the NHS and created a full-scale market in health care. But he makes no commitment to repeal those sections of the Act and put the NHS back together again as a public service. No commitment to firm action to halt the haemorrhage of NHS funds to private sector contracts, with all the waste of time and money that entails. None of this is true. Labour’s costly and wasteful experiments with more expensive, cherry-picking private providers made little if any difference to waiting times, but has undermined the NHS. It opened the door for the Tories to push through their plans to replace the NHS with a competitive market. Miliband makes clear he has learned nothing from those policy failures, and would repeat them if elected. But will he even get elected? What exactly is on offer to attract potential Labour voters sick and tired of Tory policies? People “should own information about themselves” – but Miliband fails to address the Care.data row over confidential NHS information on patients potentially being sold to private interests, including insurance companies. His second point is that “no one should be left isolated when they could link up with others in the same situation”. So every asthma sufferer and diabetic will be expected to link up with patient groups, whether they want it or not? “Decision making structures in public services should be thrown open to people” – as long as they don’t want to stop hospital closures. Teachers face even more hassle from pushy parents demanding changes in schools. Finally, Miliband asserts: “We should devolve power down not just to the user but also the local level” – again as long as people don’t try to stop hospital closures, demand more money, or try to change spending priorities. None of these “principles” addresses the full-scale Tory onslaught on our public services, the growing drive to privatisation, or the failures flowing from chronic under-funding. The “new culture” turns out to be the old Blair culture with new, vaguer rhetoric. If that’s all Miliband has to offer we may no longer have to worry about what Labour would do in office. Instead we need to decide how we best prepare for another five years of Tory rule, with or without their LibDem bag-carriers. In 6,000 words he could have set out a rallying call and shown a real alternative to Cameron’s millionaire axemen. Instead it’s a wasted opportunity, proving only irrelevance and paucity of thought. And leaving the question: who was all this nonsense for?